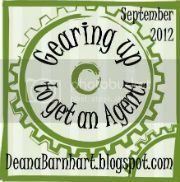 Fellow Blogger, Deana Barnhart has graciously hosted this GUTGAA event for aspiring writers like myself. Click the gear link above to visit the blog and learn more. Maybe you'll join me? There's still time! Starting Monday, Sept 3rd—Friday, Sept 7th visit other's blogs and get to know them. Have fun and visit as many as you can! Each blog will answer a series of questions and any additional things the author would like to share. My short author biography and questions are below. Enjoy! G. Donald Cribbs has written and published poetry and short stories since high school. A graduate of Messiah College in English and Education, he and his wife and four boys reside in central Pennsylvania where the author is hard at work on his next book. Having lived and traveled abroad in England, France, Belgium, Germany, China and Thailand (you can guess where he lived and where he visited), the author loves languages and how they connect us all. Since I type 60wpm, I am either on a laptop or home computer when I write. I lurk in libraries, conspire in coffee shops, and type just about anywhere I can find time for writing. As a busy parent of four boys, that often means finding those "interstitial times" like during my oldest son's karate class each Sunday evening for reliable writing time. The boys' laundry hamper in the small hallway by our stairs. We have an office set up across from my bedroom since we homeschool our oldest two boys. Their homeschooling desk and computer are directly behind me. To my right is a window out into our backyard where I often send my boys to play on the playground I built (big purchase from BJ's), while I write in short bursts. Any time I can steal away and hammer down that 1000 or 2500 words I'd like to reach per day. Most often this occurs during my youngest son's naptime or after I put all four boys to bed each night, around 9:20. Water. Although sometimes it's more likely coffee, Coke, or a mocha if I'm really fancy. If I put on music to drown out what's going on around me, I can tune it out. I just shuffle what's on Pandora, or my iPod. Silence is much more helpful for editing, and in particular the stage where I read every chapter aloud. You'd be amazed what this uncovers in the editing/revising process. I catch a lot of things I've missed on previous rounds of edits. Yikes! I highly recommend it. But it's hard to do with listening ears, especially with some of my books. My boys are not old enough to read/hear much about these stories. Therefore, it's when I have the house to myself or after everyone goes to bed. Having been inspired by CINDER by Marissa Meyer, SHADOW AND BONE by Leigh Bardugo, and STORMDANCER by Jay Kristoff, I imagined what the illegitimate love child of these three very different books would look like. It's actually a fairytale retelling in a French steampunk world of Beauty and the Beast, only the female MC is Beast, while the male MC is Beauty. There's also floating islands in the sky and submersible cities in the oceans below. I'm still in the research and rough outlining stage. Also, it's totally different from my first novel, which I'm subbing here, a YA contemp with a male POV. That's your sneek peek posted above on the tabs or below via the link. Look for inspiration all around you. Let your life inform your craft and your writing. If you've seen the show SMASH on NBC, you might understand what I mean here. If you're a writer, you've got to watch that show. If you listen closely, you'll see how each show has things going on in the lives of the characters that directly inform the craft and the creation of a broadway show from inception to birth on the stage. It's a great series to get your creative juices flowing and the music is superb. Add a musical about Marilyn Monroe and it's a WIN/WIN in my book. I don't watch much television, but that's one show I'll rewatch online. You can see all of season one here. Click the far right tab at the top of this page to read the first chapter of my book. The first chapter is in two parts and I welcome all feedback good or bad. You are entitled to your own opinions. I use all feedback to better myself and my writing. Thank you for taking the time to read and comment. That's it for me. If you have any other questions you'd like me to answer, feel free to post them below in the comments. Have a great week! Nice to meet all of you. Thank you very much for taking the time to stop by my blog for a visit! Nice to meet you. I studied in England for a summer and absolutely loved it! Where did you live in England? You're raising 4 boys! And I thought I had a hard time finding time to write with 2 kids. I think parent authors definitely have dedication. It's it a difficult balancing act. Good luck landing that all elusive agent! Nice to meet you as well! I lived NE of London about 45 minutes between Bedford and Shefford, on an RAF Base, Chicksands. There was a priory (monks and nuns) I helped restore. It has a ghost story I plan to write as YA. We used to drive around and have a picnic in old ruins and then explore them for fun. I know four boys sounds daunting, but these stories are cramming my mind and need to get to paper so I don't completely lose my mind. Great to meet you, Don! Thanks for stopping by my blog. Best of luck with GUTGAA! I lived in England for 2 years, traveled across the English Channel by ferry and drove around France, Germany and Belgium for 2 two week trips. I also moved over 50 times before I turned 18, and that was mostly between California (where I was born) and Virginia (where I grew up). After college, I taught English in central China for a year and an additional summer. During that time, I traveled to Thailand on vacation between semesters. Hi Don! Your book sounds fascinating (love the switch of male/female for the Beauty and the Beast story). I'll have to check out SMASH. And yay for homeschooling! I helped run a homeschool group for years and it was tons of fun. Thanks! It's quite a departure from the YA contemp I've got out right now. I've got loads of ideas to keep me busy. Since my wife and I both studied education in college, and I'm a state certified English Teacher, I love that we homeschool. It's the best thing we can do for our boys. I need to read my current WIP aloud too, haven't done it yet. I am amazed about what I catch though. And I'll have to stay away from little ears too. My novel is at least a PG13, so no reading aloud when my boys are up or around. Good thing it's YA. Guess I've got my target audience down. Happy writing and reading aloud. Smash is a show I've been meaning to watch (mainly because I'm a musical theater geek). Glad to hear good things about it! Love SMASH for inspiration. Surprisingly, very few movies measure up, but I'd say AVENGERS by Whedon is masterfully written and INCEPTION is mindblowing. Happy writing! I totally get the having four kids=writing in spurts, whenever you can thing! Thanks, Rachel. Let's do this! Hi! Nice to meet you! I admire you. Two boys just about drove me to the funny farm. Love them to death now though. Look forward to learning more about your writing during this month. It might blow your mind then, if I told you my wife and I were formerly full time caregivers and a boarding school for underprivileged children. We had 12 middle school girls full time for 7 years. We also had our boys during that time until we had to leave. We couldn't stay with 4 boys per their rules. We would have continued, but then, I'd never have written my first novel, so it's all good. We're still in touch with most of our 55 former daughters, too. What can I say, we love kids. I love the idea of your WiP. That is definitely something I would read. Beauty and the Beast is one of my favourites, and I am very intrigued by the switch of roles! I'm eager to get started with this one. It's fun researching, too. I've got such fun ideas percolating. Glad you like it. Your WIP sounds AMAZING! I want to read it right now. I was just thinking that there should be a retelling of Beauty and the Beast with gender roles switched. Also, I envy your writing speed. I could type fast, just not...write fast. I'm lucky to get in 1K words a day, and that's a good day. Granted, I am very distracted by the internet...and um, bright and shiny objects. I used twitter to help. There's hashtags there to help writers. One is #wordmongering and #editmongering. Every 1/2 hour, you start writing and at the end you post using the corresponding hashtag to share how many words you got. It's a great motivator. #Wordmongering goes from the :00 of every hour to the :30. #Editmongering goes from the :30 to the :00. Rinse, repeat. Also, #1K1H is great for longer bursts. I wrote the first draft of my first novel in 2 1/2 months using these hashtags. They work. Happy writing! Beauty and the Beast is my favorite. I love the premise for your wip. A good friend of mine works at Messiah! I, too, love what reading my writing does to change and enhance it! Gotta love my alma mater! It's where I met my wife. I also had 2 leads during the time I was there. SO much fun. It's a great school. Sounds like some seriously fun inspiration, and very impressed at how much you manage to pull off with four kids! Good luck!! Don't be so modest, Dahlia. You takle an impressive load yourself! I say, if it's a passion, it will drive you to accomplish way more than the average "do the bare minimum" kind of time clock job. Loving what you do is key. I love the beast being the girl!! That is so great, and I've met many woman who could definitely fit the bill. :P Nice to meet you! Thanks, Lara. That's actually what got me thinking of the premise for the story. What if the guy were more "metro" and everyone thought he was gay. He'd be pretty lonely. An entitled, uppity princess with a fierce temper being tutored in her castle might be just beastly, even for a princess. What if they were forced together, say, to help rescue the king and queen, from an estranged duke who's making a play for ruling all of the land? Toss in a few floating islands and a steampunk world...voila! I'm having fun with how to twist the main elements that make up the fairytale in a new fun way. Can't wait!! I do admit I like silence when editing as well. Music when I write a first draft though. I'm your newest follower! *waves* Very nice to meet you! that's why they call it golden, right? Agreed. Thank you for following, too. :D You Rawk! Hi Donald, I'm one of the first-round judges, and it's so nice to meet you! Your WIP sounds incredibly creative; best of luck to you. I can't wait to read everyone's submissions! Hello! Nice to meet you. Must say your WIP sounds quite interesting! Hey! I'm your 100 follower! What do I win??? haha :) Kidding. I love that you're writing a steampunk B & B with a character plot twist! Sounds like living with 4 young boys has taught you to write well with lots of noise. (I'm team silence. :P) Wishing you the best of luck. Hey Don! Nice to meet you. I'm loving your novel's inspiration. And it's steampunk! All the better. Nice to meet you through the blog! I agree, TV can inspire. I tend to go for dramas, like Justified (on cable channel FX). The writing on that show is incredible, which may be in part due to the source material and consultation of author Elmore Leonard. It's sparse, no lines are wasted, and the actors are great too. Timothy Olyphant is my Clint Eastwood. Even Psych, a screwball comedy, has some brilliant writing -- very witty. Your novel sounds incredible -- if you can pull off all those influences it could be really cool. Thanks for the great recs! I really hope I can pull off the hattrick of influence on my WIP. I want to do B&B justice. I'll try not to watch too much TV... I'll stop by your blog, too! Thanks, Angela! I keep rubbing them together like they're flints. Maybe they are. I see sparks. ooo, a Beauty and the Beast retelling? Nice! I have a short story kicking around on my laptop somewhere that was so inspired. Good luck with GUTGAA! It's the best fairytale EVAR! Happy short story writing! That's quite a concept for your latest MS! It's great to meet you, and I wish you luck with GUTGAA. I haven't read Shadow and Bone yet, although it's sitting on my coffee table. Now I'm really intrigued! By the way, have you read Shatter Me yet? I loved it, easily one of the best YA I read all year. SHATTER ME was the first book I read this year! I gave it a zillion stars and did a giveaway this summer. S&B is awesome. Happy Reading! I have a Theatre Arts degree, so I started watching SMASH, and it was amazing... but when the sneaky assistant started being all petty and grabby and disloyal, it felt too much like a soap opera and I stopped. the assistant dude was a terrible crutch the writers overused. I liked it better when they shifted that later on. The season is online. You should give it another try. P.S. the assistant does receive his comeuppance. Of course, writing comes first! I guess it's good I traveled as a kid, then! Now that I'm married and have children, we're pretty tight in the budget, too. Let's hope it comes around for both of us! Wow,I love the idea of a female Beast and male Beauty rendition. Great to meet you! Glad you like it. Thanks so much for stopping by! Actually, to give credit where due, the quote came from Daisy Whitney, author of THE MOCKINGBIRDS and THE RIVALS. However, my wife has interstitial cystitis, so I did know of the word, just applied it to writing after Daisy encouraged me to find time to write daily. Thank you, Daisy! And, know you know what word to call that. Cool! I'm a big fan of writing in libraries too and I like your tip about looking for inspiration. Thanks.